Everybody remembers the horrific summer we had for injuries last year during the long hot summer. 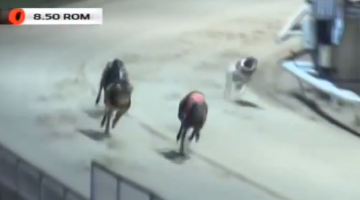 In June, Towstar Jess broke a hock at Romford and a month later, her brother Towstar Arry suffered a similar injury when leading an open race at Towcester. Most of our serious injuries would go for treatment to vets Stefano Malegori at Romford or Daniel Doherty. Unfortunately Stefano was on holiday, and Daniel had his own well publicised issues at the time so the pair went to Crayford vet Martin Bennett. Martin did a phenomenal job on both injuries. Jess returned to the track in February and has raced four times, most recently on Sunday, contesting the semi finals of the Bunny Bookmakers Gold Cup at Henlow. I was even more delighted with Arry’s trials back at Henlow in March. I planned to run him in some graded 550s but he went so well that we also entered him in the Gold Cup for his first race back. He qualified in third and on Sunday he won the fastest semi final. He will be one of our four runners in the final on Sunday, along with two of Paul Young’s and it would be an understatement to say that I am delight. In fact, another member of the litter, Not So Classical, had also previously broken a hock and he is now running well for John Mullins. As far as Sunday is concerned, I think Arry is up against it. It is well short of his ideal trip and he will do well to get a clear run. Chubbys Caviar is our obvious best chance and Itsur Mate looks the obvious danger. But I couldn’t be more delighted to get Arry back racing. I thought he looked a top class stayer in the making and he may still get his chance to prove it. Garryglass Champ has been a fine servant during a long career, but is approaching the end of it, but I expect a decent run from Busters Bullet who never runs a bad race. On the subject of greyhounds returning from injuries and setbacks, I am delighted to have Aayamza Breeze contest her third Coral Regency on Thursday. Readers might remember that two years ago she was knocked over in the final as the 5-4f. Two months later she broke her hock at the same track and was treated by Daniel Doherty. 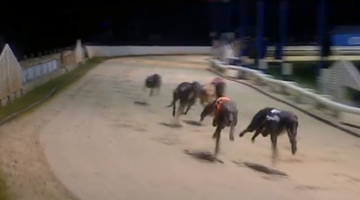 She was off the track for eight months and returned to reach the semi finals of the 2018 Regency. The odds are clearly against a runner returning to win a competition on the wrong side of a broken hock – but that’s what they said about Billys Bullet! Breeze is one of our five entries in the competition though I should already be on a winner. I was asking anyone who was interested to lay me £100 that our two leading fancies Antigua Fire and Brigadier Bullet would be drawn in the same heat and . . .what do you know! There are so many top class stayers around at the moment that you know you will have to take them all on sooner or later, but our traps draws just lately are uncanny. In fact, that sixth heat is worthy of a final in itself. We also had two in the second heat with No Can Boogie up against Breeze. Ava Storm goes in the first heat up against Clares Kyletawn – a great job by June Harvey to get the reigning champion back after a nasty injury. Fingers crossed for Ava who continues to impress me and I think she will do even better over a true marathon. If you hadn’t spotted the theme already, I am able to confirm that Brinkleys Poet is due to have his first four bend trial before racing at Hove on Thursday. I could not have been more thrilled with Poet’s 16.01 trial at Sheffield on Saturday. Great credit to Matt and Terry Dartnall who were responsible for every minute of the dog’s convalescence. I spoke to owner Nic Jeal and we did consider running Poet in the Bresmed Northern Sprint, but decided not to throw him straight into a tough three-run competition. It was a good week for Nic with Fire winning at Sheffield, Poet trialling so well and Antigua Rum winning a quarter final of the Con & Annie Kirby Memorial at Limerick. Rum will hopefully be joining us when the event is over, along with Antigua Coral who was eliminated from the Puppy Oaks at Shelbourne. But as an October puppy, she has plenty of time on her side. Previous post NOTHIN’ BUT A HOUND DOG?